Introduction to the guide to eviction. As a landlord, you have tried to make sure you rent to reliable and safe tenants, but every so often you rent to someone who must be removed from your property. Eviction is a legal process by which a landlord may terminate a tenant’s right to remain on the rental property. French lawmakers have designed a specific procedure for removing tenants. 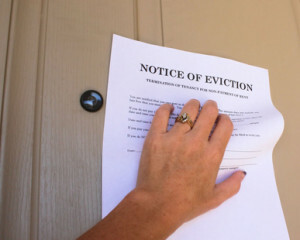 This guide to eviction will review some of the more common eviction rules and provide some information on evictions for when it happens to you. Contact Maître Benjamin A. Kergueno, Attorney at Law today if you are willing to evict a tenant from a property on the French Riviera, or if your landlord filed an eviction lawsuit against you. Maître Benjamin A. Kergueno, LL.M will provide you with a full set of informations and with the adequate counsels for reaching your objectives. For more information or to schedule an appointment with an experienced lawyer regarding the eviction process under french law, please contact us.